Kayti McGee brings forth a romance that was a delicate symphony of sweet and heartfelt. 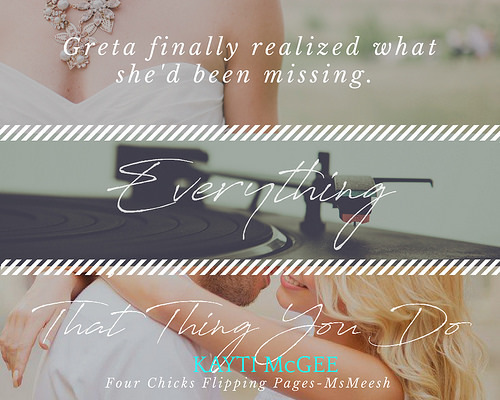 In That Thing You Do, McGee introduces readers to three single best friends who made a pact that they won’t get married unless they all agree with the match. Greta is that one cynical friend who doesn’t believe in happily ever afters. After witnessing her parents marriage crumble, it leaves a very sour bitter taste with her. And so when she attends her sister’s wedding as one of the bridesmaids, she didn’t think the hot DJ even noticed her but he did. Jon aka DJ Force sees Greta at the wedding and is very much attracted to her and when they agree to meet up again so Greta can return his jacket, he is taken aback by Greta’s proposal that they should be in a fake relationship so she can get her family and friends off her back. Jon agrees to date her but makes several condition to the dating terms. In fact, he wants a real dates with her. Soon it didn’t take long for Jon to break down Greta’s hard exterior. With Jon’s ability to bring a smile to her face, he shows her what it means to let go. Let go and let whatever is happening between them take it’s natural course. Will Jon be able to show Greta what forever loves looks like? That Thing You Do is indeed a charming and lovely story that will bring a genuine smile to your face. While Greta can be at times frustrating, I love that Kayti McGee showcased her as flawed and vulnerable. It allowed us as readers to see and feel for Greta as she was pushed in the right direction of listening to her heart. 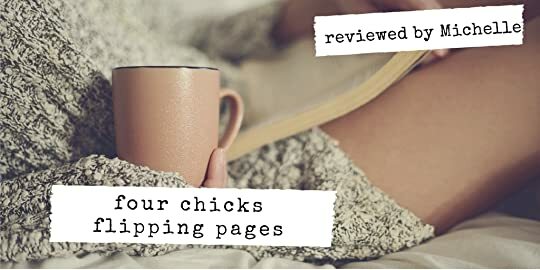 So if you are looking for an uplifting romance that light, easy-going and beautiful then I suggest you pick up this book from Kayti McGee.